Once per year Karl-Heinz Meiwes-Broer, a physics professor from Rostock University in Germany, hooks his glider up to his car and heads south towards Vinon-sur-Verdon. This village near the ITER construction site is France's gliding heaven. From the air, at a height of 1,000 metres, the view of the ITER worksite is spectacular—the density of cranes and equipment in the Tokamak Complex area a sure indication of the intensity of ongoing work. Large expanses of bare land still appear, but they're not devoid of activity. To the right of the photo, north of the concrete batching plant, preparatory works are under way for the cooling towers. North of the 257-metre-long coil winding facility, past the foundation works for the cryoplant, contractors are carrying out soil investigations for the Magnet Conversion Power buildings. 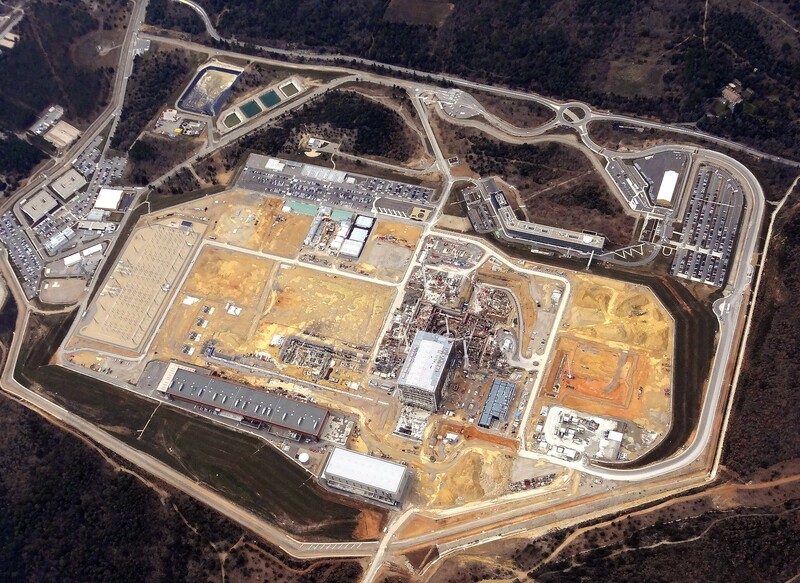 We all wish we could fly in a glider to take in the ITER site from a bird's eye view. Prof Meiwes-Broer does that frequently—but this time what he really wished for was to take a full tour of ITER from the ground. That's a wish that came true last week.